I have come to a conclusion about myself: I am a masochist. 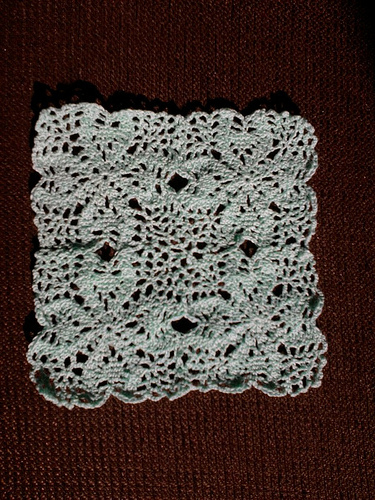 I had an urge recently to investigate the mysteries of Irish Crochet. I don’t know if this was some desire to get in touch with the manifold woes of my ancestors or just because I am easily distracted. Anyway, one look at the vintage patterns on the web made me realise that I had no hope of being to just dip into the art. At the very least, I was going to have to have a crack at crocheting in thread with a tiny hook first rather than in wool with a whacking great one. I also had the tiny hooks as I had bought every size I could find when I was a rookie crocheter but never used them. I got started by trying out an uncomplicated motif from The Harmony Guides: Crochet Stitch Motifs using the thread and a 2mm hook. I plumped for the Waterwheel motif which consisted solely of trebles and chains and it came out surprisingly well. The Waterwheel, now used by Mr Grasshead as a little mat to sit on. My first motif took me a week which was a bit disheartening. This was partly due to the misprint but mostly because the thread and hook still felt so fiddly to work with. I am picking up speed now I have made 5 squares, however, and can average one motif in about 3 hours. 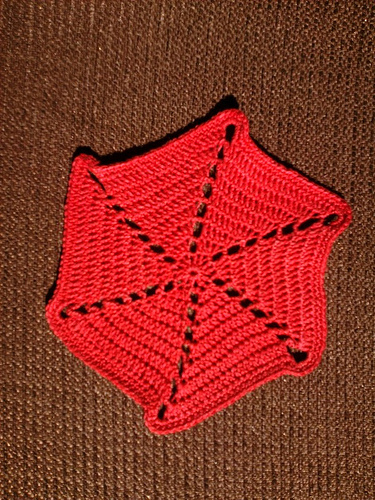 It feels like starting to learn to crochet all over again as I have to look at what I am doing rather than glancing down every now and again but the results seem to be worth it. I can’t believe my ham-fists have produced something so delicate. I was very impressed with myself when it came out right. 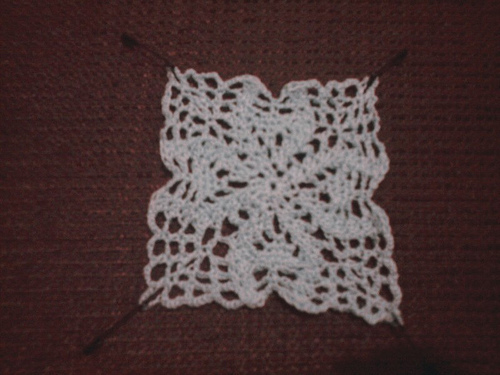 4 motifs joined together produces a square 5″ by 5″ so I am unlikely to reach tablecloth size any time soon. Maybe a nice tray-cloth instead. That feels very Victorian. And the Irish Crochet? At this rate I’ll be ready to make a start sometime around 2013. Check back then for an update. 1 and a half week's work. That tray cloth is looking really lovely. I found amigurumi too fiddly. I’d never manage what you’re doing!